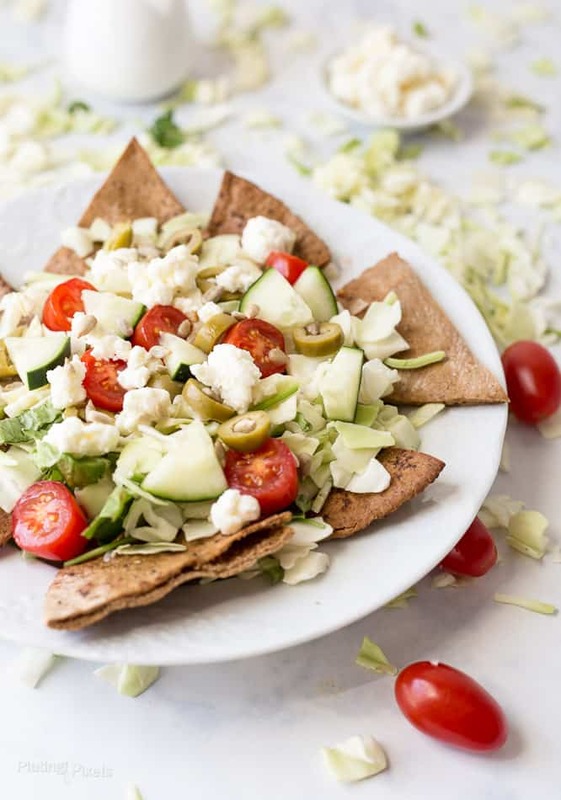 Learn how to make healthy Greek salad pita nachos. All you need is a convenient fresh chopped salad kit, homemade pita chips and a few extra ingredients. This post was sponsored by Taylor Farms. The content and opinions expressed here are all my own. Enjoying fresh, healthy ingredients that nurture, as well as delight, is one of my favorite parts of food. A rewarding meal goes hand-in-hand with bonding and creating life’s special moments. Besides the variety of tastes and the therapeutic act of cooking, food is so much more than simply eating. 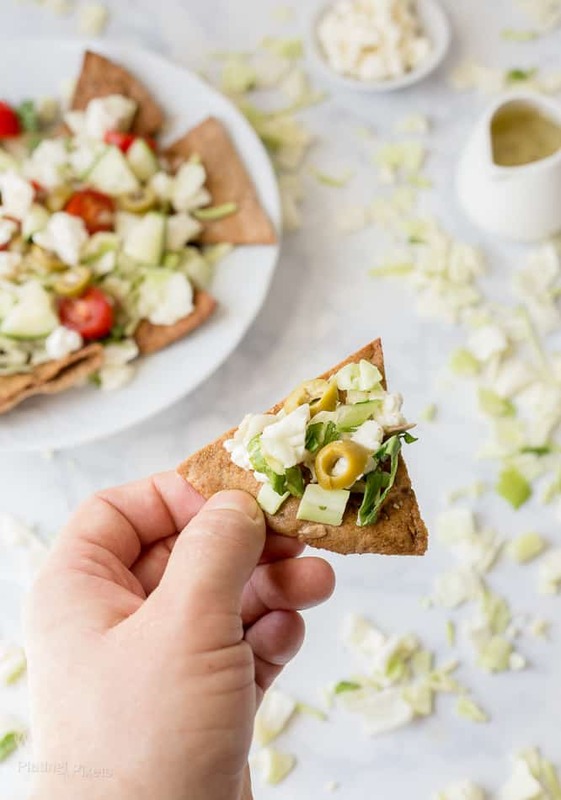 These Greek Salad Pita Nachos takes a fun, hands-on approach combined with the convenience of chopped salads. Making your own pita chips ensures healthy, quality ingredients in your salad. I used organic, whole wheat pita bread to eliminate artificial ingredients and preservatives. Slice them into wedges, lightly coat in olive oil and spices and roast to create crisp, non-fried, pita chips. 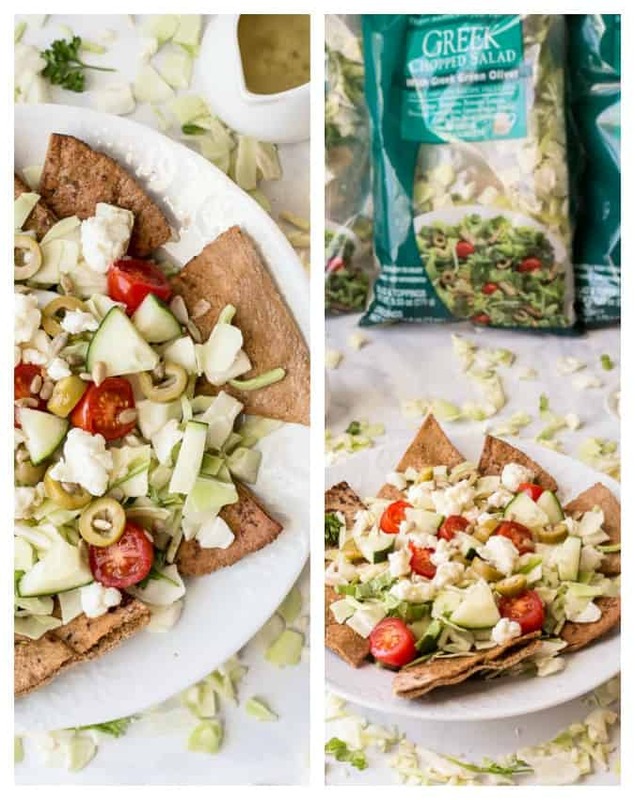 The main base for these Greek Salad Pita Nachos is the Taylor Farms Greek Chopped Salad Kit. Made from fresh romaine lettuce leaves, cabbage, celery, cherry tomatoes, green onion, parsley, green olives and a Greek vinaigrette. 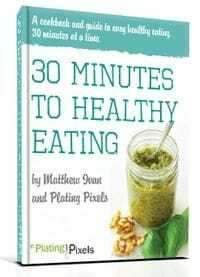 It’s a complete salad kit that’s full of flavor and healthy ingredients. For these pita nachos, just add diced cucumbers and feta cheese. I’m always on the lookout for new places to shop and new ingredients to cook with. During the summer, farmers markets and local ingredients sold at grocery stores create unique and flavorful dishes. 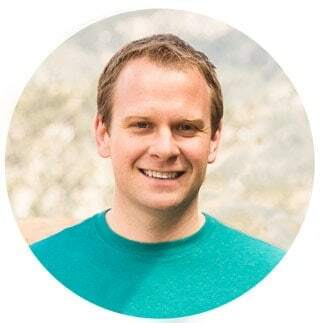 Taylor Farms is local Northern California company that focuses on nutritious, sustainable, homegrown-style farming you can enjoy year round. 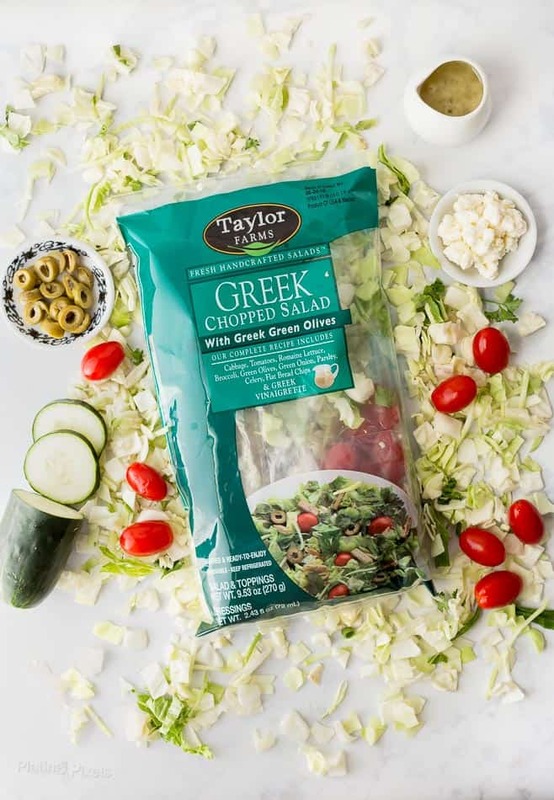 Taylor Farms features a variety of fresh, healthy product lines including chopped salad kits, organic salad blends, single serve salad bowls, fresh cut vegetables and juicing greens. To create sustainable growing, They focus on using natural resources wisely to reduce the impact on the planet, ensure future generations can benefit from healthy, hand-crafted farming. 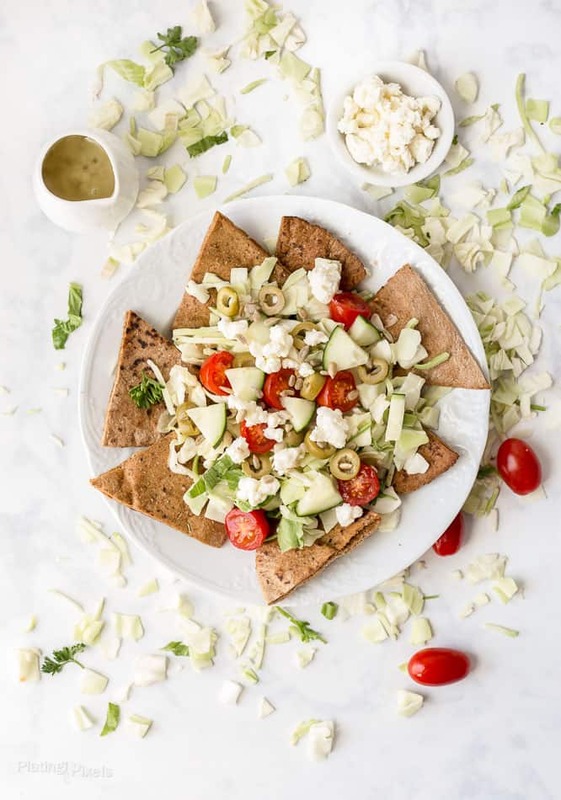 Enjoy these Greek Salad Pita Nachos as a delicious way to get wholesome ingredients in your daily diet. 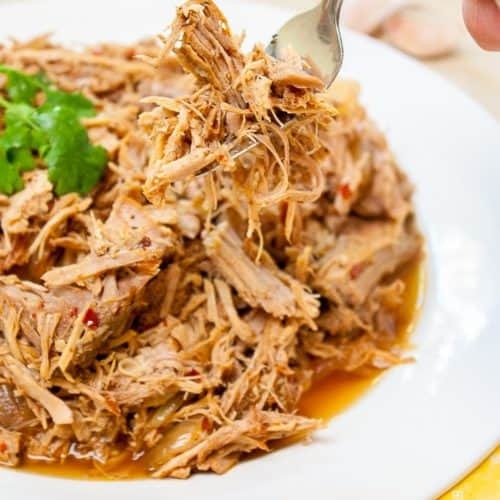 You get the benefit of easy healthy ingredients combined with an accessible meal anyone can create. Flavor profiles: Salty, tangy and rich Greek inspired flavors. Texture: Tender, creamy salad mixture over crisp homemade pita nachos. Preheat oven to 425° F. Cut each pita bread in half, then into thirds to create triangular wedges. 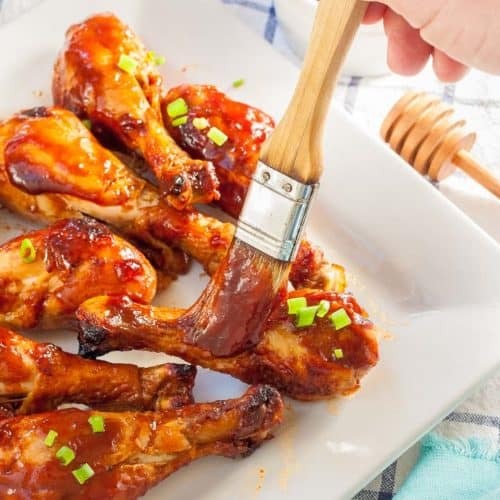 Place on a baking sheet in a single layer and lightly coat or spray tops with olive oil. Sprinkle each with cumin, salt and pepper. Roast for 7-10 minutes, until golden brown and crisp. Remove from oven and cool slightly. Meanwhile assemble the Greek Chopped Salad according to package directions and stir in cucumber and feta cheese. Place pita chips on bottom of plates or a serving dish and top with prepared salad. Enjoy by hand as a nacho-style salad. Lovely lovely post. Will try this soon. 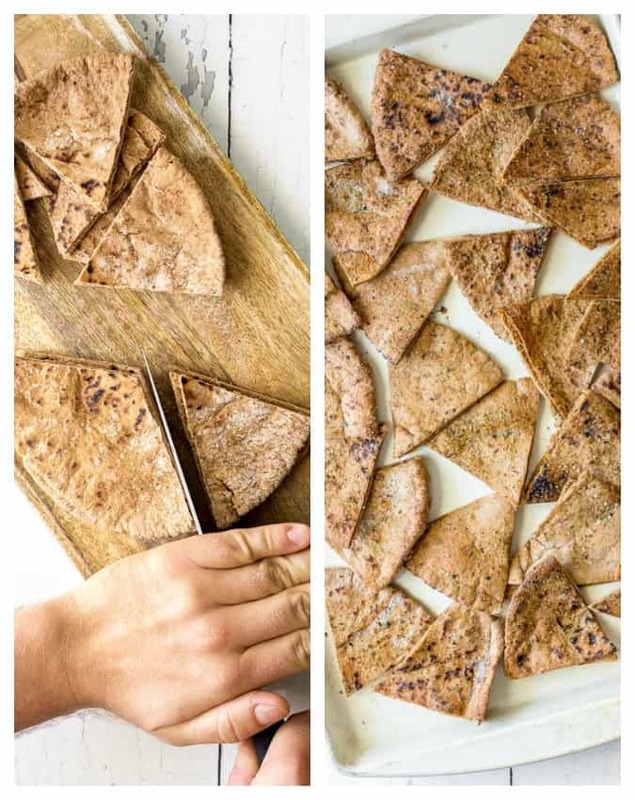 Pita chips can be so expensive, so I love the idea of making them yourself. 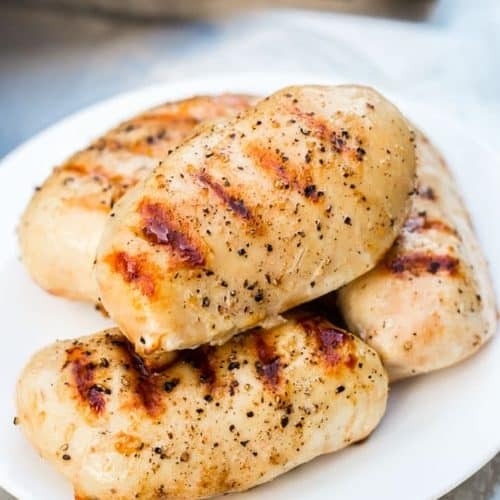 And, the whole plate just looks so crisp and healthy! What a great twist on Greek salad and nachos! And pre-made salad kits definitely make things easier. this looks absolutely delicious and I ♥ Greek flavors! Oh, how I wish I was having this for lunch today!! Love this! Such a great combination of flavors and perfect for summer.